You are probably wondering if you just read that right. 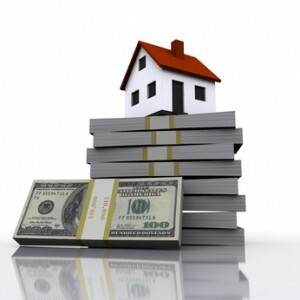 Can you really make money from real estate investing without owning a single property…? And the answer is a big YES! Stay with me and just keep reading and I will reveal exactly how you can grow rich without ever owning a single property. First I want to say, don’t let HGTV be your learning course in real estate investing. Too many times I have run into would-be real estate investors who assume that you can find-fix-flip a property in 30 minutes and at the end, you will make a ton of money. WRONG!! That thought is far from the truth. And because of this assumption, many are investing in real estate and end up owning property with NO KNOWLEDGE of real estate investing. What happens, eventually, is they end up losing money or even go into foreclosure. So does this mean that real estate investing was the wrong choice for them? No, I believe real estate is the best and safest form of investing available, you just need to learn the different ways to invest and figure out which way is the best fit for you. This is a scenario I come across all too often: A seller calls me desperate to get rid of their property because they “need the money.” I ask them – what are you asking for the property and how did you come up with that number? (comps, appraisal, etc). And the response is usually something like this: Well, I paid 200k for the property, PLUS then I put 40k into the property to fix it up … so I’m asking 240k for the property. Unfortunately folks, this isn’t how it works. I stumbled upon this scenario with a multi unit I was seeking to purchase this past week. I was trying to explain to the seller that an investor would be looking at a 5k/year loss at minimum with her asking price. That the cap rate was only 3% when you looked at income and expenses. I could tell right away that, to her, I was speaking a foreign language. She had no clue about real estate investing. So I ask myself: WHY would someone who knows NOTHING about real estate put a huge chunk of their money into a real estate investment property. No one wakes up in the morning and says: gee.. today.. I would LOVE to become a landlord! My full time job and family just aren’t keeping me busy enough. I can’t wait to be a landlord. Truth is – being a landlord is another full time job! Unfortunately, many sellers in this situation come upon a sum of money or have extra money that they don’t want to put in the stock market, IRAs, savings, etc. (can you blame them?) Fact is – you can get steadier and better rates of return in real estate. Problem is – you shouldn’t jump right in if you know nothing about it. 1. Find yourself an EXCELLENT real estate agent/investor COMBO – these are hard to come by. I will never let mine go. Once you find them.. treat them well! You need a real estate agent that is ALSO an investor! You can’t buy investment properties with an agent that has no background or knowledge of real estate investing. Interview your Realtor! Ask them what is in their portfolio. Ask if they work with other investors. Do they have time to work with investors. AND THE MOST IMPORTANT PART: DO YOUR HOMEWORK!! Don’t rely solely on your realtor. If they do real estate investing and have properties of their own, plus they are a realtor – then they are BUSY!!! Read up about real estate investing. LEARN how to do the numbers so you aren’t entirely dependent on your realtor to do everything for you. THEN PREPARE YOURSELF: Learn how to be a good landlord! Go to your local REIA meetings, get tips from other landlords. If you are saying.. man.. that is A LOT of stuff to learn and I don’t have time to look at potential properties, learn about real estate investing, and learn how to be a good landlord, or then on top of it be a landlord…I just have money to invest and I want to put it in real estate! THEN OPTION 1 IS NOT FOR YOU!!! 2. REAP THE REWARDS WITHOUT THE LEG WORK: So you want a steady, great rate of return, BUT… you don’t have time for all that other crap. YOU ARE IN LUCK! You don’t have to learn a thing. All you have to do is find someone you trust who is experienced and knowledgeable in real estate investing and invest your money with them! Give them a loan or mortgage! Become the bank! Because you can! And because it’s profitable! You won’t own a single property; you won’t take on another full time job as a landlord… YOU WILL get great rates of return!! HOW in the world do you find these people?? Who do you know in your area that does real estate investing? Who are the big players? Go attend a few local REIA meetings and find out. And then INTERVIEW them! Fire questions at them about everything and anything you wanted to know about real estate! Ask to see their portfolio.. and more importantly.. ASK TO SEE THE NUMBERS! Have them show you not only what they own but how these properties cash flow, what their profit is on rehab projects etc. Ask for REFERENCES!!! They can give you names of other people just like you that lend them money for returns! They should be able to tell you how the lending process works, give you information on lending from savings, lending from an IRA, etc. etc. The options are endless! Your task now is to determine which option is best for you and take action and never stop learning because Real Estate can produce profit for anyone! But remember you don’t have to become a landlord to do it! Until next time, follow me on Facebook and Twitter and give me your feedback or comments below. April Crossley is the current owner of Crossley Properties, LLC, a real estate investment company located in Reading, PA. Over the past several years Crossley Properties has been buying income properties all over Berks County, PA and surrounding areas. April continues to grow the rental portfolio of Crossley Properties, LLC while simultaneously helping others increase their net worth with great rates of return on secure investments. Great write up. I have come across so many people who complain that real estate investing was NOT what they thought and complain about the different elements. I admit I would be confused because I know it is a great channel, if not the best, to invest your money. But this article clarifies why that happens. These people went in without no knowledge and perhaps most of them could have made money, they just didnt know how too or they chose the wrong strategy.